Being a blogger is a tough job and only captivating the content is not enough to make you productive. Running a successful blog requires more skills than just writing a perfect article. Apart from Social Media, Networking, and SEO, the site also needs to load fast, SUPER FAST! See, every visitor or a potential reader judges the website not only on the base of the content quality but the speed as well. A reader prefers to read from a website which loads fast on his/her device. Is it worth their time or not? You can distinguish between such points, but surely you can do your part to make sure that you receive sufficient traffic. Page Load Time is one of the most important factors that many bloggers and developers have been excelling for years. There are various factors such as responsive website which decide the loading speed of your website and the image resolution impacts the most. Since most of the blogs today are hosted on the leading CMS WordPress, therefore we’re here to discuss WP as well. If you’re still facing any issue in optimizing your website for mobile users then go through this guide. According to every blogger’s perspective, Image optimization is the best and the most efficient practices when it comes to making your website or blog faster. The function of an optimizer is simply to decrease the entire size of your high-resolution image, thus making the site more responsive and loading speed super fast. In the recent trends, Google also measures the website by their speed. Therefore speed acts an important factor in its ranking algorithm. 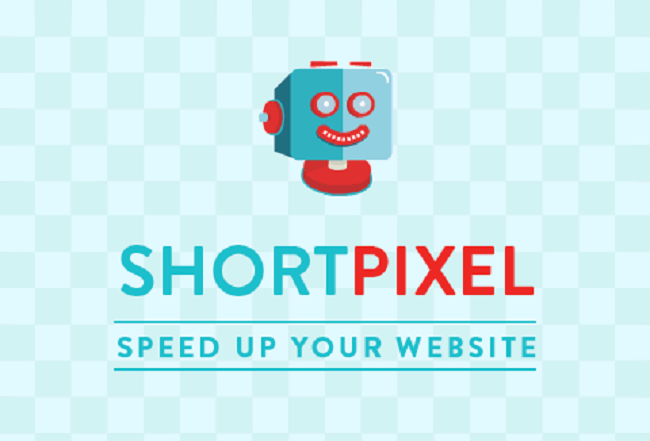 ShortPixel is a freemium service that offers image optimization tools for websites and blog. It also has a dedicated WordPress plugin that allows the users to automatically optimize the images and PDFs when uploaded on the server. The plugin is free to use and can be downloaded or installed directly from the WordPress Directory. You can get more detailed information about the plugin from here. Most of the newbies who jump into the blogging and Internet stuff aren’t aware of image optimization and its impact on their blog. As a result, they end up using pictures with very high resolution and size. The only thing that these images do is to make the website slower. We all have experienced the frustration of reading through or navigating through a website where the images take forever to load. Even though the Internet is ultra-fast nowadays, people suffer from such websites, and it ultimately makes the website and Internet sloppy. Fortunately, we have a solution for everyone who wants to make their site faster with image optimization. I used the ShortPixel optimization directly from the site. You can also test out the free version by just signing up on the website. ShortPixel’s Free Plan offers 100 image compressions per month. Second image’s size reduced from 0.8 MB to 91.8 KB (88% Compression) – isn’t it awesome? It’s surprisingly awesome results and near about 90% compression as mentioned on their website. You can then download the optimized image directly for further use. The plugin also works in a similar way and helps you to achieve faster loading results by optimizing all the pictures on the website. The premium plan allows you to do the batch operations. ShortPixel Image Optimizer allows image compression for a broad range of image formats. The tool supports JPEG, PNG, GIF, and PDFs too. The plugin tool is compatible with animated GIFs as well. The lossless compression smartly preserves the quality and the pixel information of the original images and reduces its size as well. A simple example of its application can be seen in JPEG optimized images. On the other hand, Lossy optimization can be done on GIF images. Hence, the Lossy optimized images are smaller in size when compared with Lossless Compression. Yes! You’ve read it right. ShortPixel claims to optimize the picture up to the rate of 90% of its original size. It means that you can save so much on your server, hence making the website faster than ever. It also affects the SEO so that you can rely on ShortPixel for the high compression process. 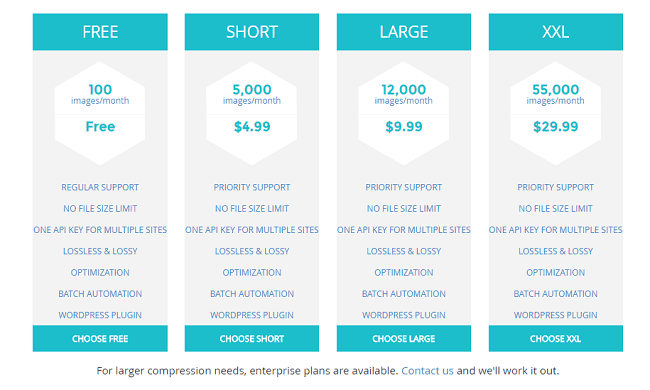 Though most of the compression services are offered on the official website, ShortPixel also provides a dedicated optimization plugin for WordPress. All you need is to download & install the plugin, and if you’re using a premium plan, then you can use the API key for the plugin too. The optimization tool is a freemium one and offers free as well paid plans. The free trial is limited only to 100 compressions per month, and therefore premium plans are based on the usage. The paid plans offer extended features and first-class customer support. It is mostly prioritized for the WordPress users. To make sure that your website keeps running smoothly and with smart optimization, the company offers consistent updates for its Plugin. The current version 3.3.8 offers various new features based on the customer reviews, and the update is provided in every 2-3 weeks. All in All, ShortPixel is a decent plugin and optimization service for every blogger and developer. Do share your thoughts on the tool and let me know for any query related to it. Cheers! READ : How to Make PayPal Cash, Money And Gift Cards with TryMyApps?